Darryl and Patti Smith quit their day jobs and drove from San Diego, California to Cabo San Lucas in Baja Mexico on their honeymoon after being married on Mt Soledad in February 2014. After exploring Baja for a month they crossed over to mainland Mexico on the Baja Ferry and drove to Puerto Vallarta in search of a children’s Christian feeding ministry and opportunities to Teach English as a Foreign Language. 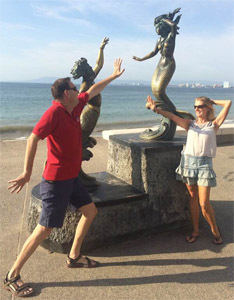 In May 2014 they became International TEFL certified English Teachers and began new careers Teaching English as a Foreign Language while working as Maestros de Ingles using the www.TeflEnglishTeachers.com curriculum. 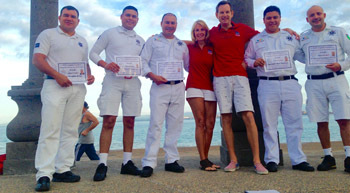 Over the past 5 years they have Taught English as a Foreign Language at the world class Punta Mita Golf Resort and Hotels Rosita & Pescador on the Puerto Vallarta Malecon. 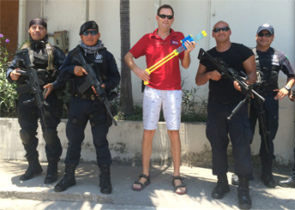 They have taught English implementing the FREE downloadable www.TeflEnglishTeachers.com English School classroom material to the Puerto Vallarta Tourist Police and Mexican Federali Special Forces. 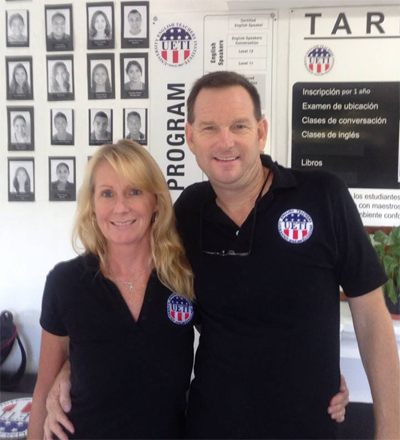 Darryl and Patti also volunteer as English Teachers for the Paradise Community Church orphanage and feed kids while teaching English at small Spanish churches throughout Puerto Vallarta community. Darryl and Patti also rely heavily on their sister website www.EnglishTeacherGames.com which offers FREE English Games available for download in Adobe reader PDF format. Today English Teachers around the world are using Darryl and Patti’s FREE TEFL English Teachers lesson plans, English student books, Free English Exams, Free Music Lyrics, Free English Games and Free English classroom posters to teach English as a Foreign Language in hopes of alleviating poverty and improving the lives of people living in 3rd world countries.